Mix all ingredients with a whisk and cookit in your waffle maker. Make pouched egg while waffle cooks. 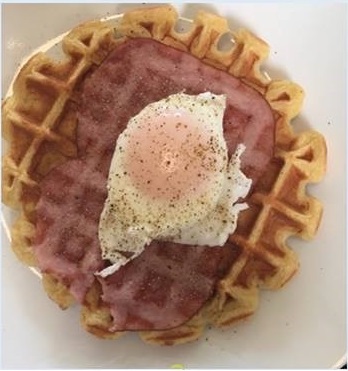 When waffle is almost done lay 1 Oz sliced ham on top and close lid for a minute until ham heats up.